I am off today for Berlin, where I will be staying until FAST TRACK is finished, which will be some time in mid-July. 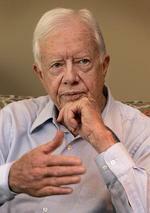 It’s going to be a busy and exciting time…and I will try to share it with you whenever I can. We have offers going out to some American actors on Monday and casting for the other principal parts continues in Germany, France and the U.K. over the next week or so. And, of course, there’s all the prep work that’s still on-going to make our May 23 start date. In the midst of all of that, I have to finish my fifth MONK novel, MR. MONK IN OUTER SPACE, and come up with the plot for MONK #6 (don’t be surprised if it ends up being MR. MONK GOES TO GERMANY) and teach another Writers Room course for Action Concept & MediaXChange in charming Lohr. At least all of that activity will keep me so busy that the weeks without my family will pass quickly. My family is joining me in mid-June and after the movie wraps, we will probably go to France for a couple of weeks to visit my in-laws. The reason why I like reading DM is because I enjoyed the television series. I, too, did think your recent book was a little "dark". I personally would prefer no changes and enjoyed reading about the one demensional tv character Dr. Sloan solving cases. If I wanted to read a novel, I will buy James Patterson. This morning the board of Mystery Writers of America, on which I serve, approved tough new guidelines for approving publishers (and, by extension, accepting books published by them for Edgar consideration and their authors for active membership). These rigorous new standards are the result of a lot of hard work by the membership committee, on which I also serve. I will be posting a link to these new standards soon, but I can say that they will result in an immediate end to the "case by case list of approved publishers." A publisher either meets our standards for professionalism… or they don’t. It’s that simple. These changes were long overdue and I believe will do our industry and our membership a service by alerting authors to thinly disguised vanity presses, companies with a history of unprofessional conduct and/or serious conflicts-of-interest…and denying those companies the legitimacy of our implied endorsement. As any reader of this blog knows, this is a subject that I am passionate about. But I want to stress that these new standards will in no way change the current membership status of any writers who became members as a result of being published by a company that falls off the list. Over the winter, Lee Goldberg, 24, broke into 23 bungalows at the former Lake House Hotel on Lake House Road in Woodridge, said Fallsburg police. Cops say Goldberg ripped out copper piping from each on the bungalows, doing between $80,000 and $100,000 in damage. They say he got between 300 and 400 pounds of pipe, which he sold at Weinert Recycling in Liberty for a total of about $2,000. Police say Goldberg also broke into another colony nearby, taking about 50 pounds of copper pipe, which he also sold. Police said they’ve been looking for Goldberg for a while, and on Tuesday he turned himself in at the Fallsburg police station. He was charged with 24 counts of third-degree burglary and single counts of third-degree grand larceny and second-degree criminal mischief, felonies. He was also charged with 23 counts of petty larceny, a misdemeanor. Goldberg was arraigned and sent to Sullivan County Jail without bail, pending an appearance in Fallsburg Town Court. Police said more arrests are expected. It’s going to be nice not to have to live in fear any longer. 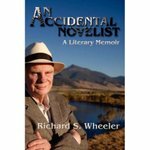 Having learned about Richard S. Wheeler during a visit to your blog, and after reading some of his wonderfully rich and vivid stories of the West, I wanted to write and find out if you k new about his recently published literary memoir—An Accidental Novelist If you haven’t read it, I strongly suggest that you order a copy (the publisher is Sunstone Press). Mr. Wheeler’s memoir is a gem. In fact, I’ll send you a check for the cover price if you’re not delighted by his noble story. He is candid in his portrayal of personal failures; ironically, it’s these stories that put his courage and insight on vivid display for the reader (though I’m certain he wouldn’t use these words to describe himself). His earnest and humble nature are evident in every anecdote, but it’s his incredible fortitude in the face of wrenching setbacks that pulled me into this book (while I should have been working!). His insights and perspectives about the writer’s life, the publishing industry, and genre fiction are fascinating for fledgling novelists like myself, but I suspect all writers will enjoy reading the remarkable story of this man’s literary career. I didn’t know that Richard Wheeler had written a memoir. But now that I do, and being a big fan of both the man and his work, I’m ordering a copy right away. My name is X. I am a writer. Producer Z has been corresponding with me via email concerning one of my screenplays. He asked me to email to him the first 10 pages of my script. Before sending it I Googled him and found that he appeared to be legit. After receiving the 1st 10 pages he emailed his phone number and asked me to call him. During our conversation he said that he liked the script but because I am a new writer it would take a lot of time, effort and phone calls to get it produced. He then asked for $1, 500 up front or whatever I could afford. I said to him that even though I am a novice writer, a producer asking for money upfront is a red flag and that I didn’t expect that from someone with his credentials. He seemed a little embarrassed and backtracked on his request saying maybe I could pay him 15% of the sale. He asked me to send the entire script to him via email and fedex because he is interested. Please inform me of any encounters that you have had with Mr. Z. Is he legit? I am EXTREMELY hesitant. You’re right to be uneasy. Producer Z is a notorious scumbag — don’t be fooled by the fact that he has some legitimate credits in his distant past. Asking you for money is highly unprofessional and tremendously sleazy. Do not send him your script or communicate with him any further. And you should register your script immediately with the WGA just to be on the safe side.